Social Media is fast becoming a key area of linguistic research. 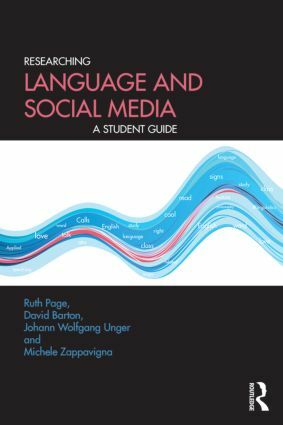 This highly accessible guidebook leads students through the process of undertaking research in order to explore the language that people use when they communicate on social media sites. Each chapter begins with a clear summary of the topics covered and also suggests sources for further reading to supplement the initial discussion and case studies. Written with an international outlook, Researching Language and Social Media is an essential book for undergraduate and postgraduate students of Linguistics, Media Studies and Communication Studies. What might a linguist say about social media? What does it mean to research? What are Internet research ethics?